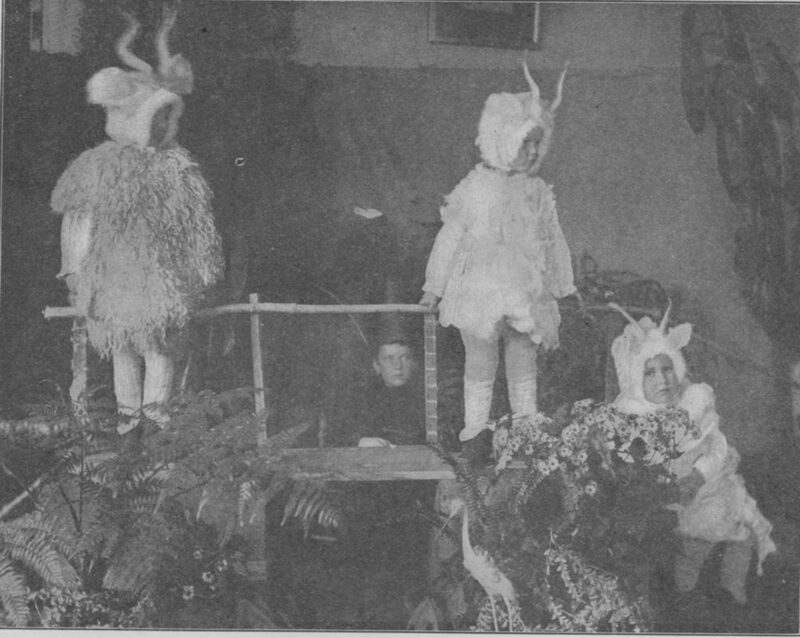 In the book Favourites Of A Nursery Of Seventy Years Ago; And Some Others Of Later Date is a photograph from around the year 1916, of children acting out a classic Norwegian folk tale. 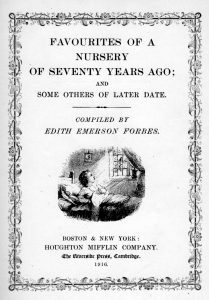 It’s still a story time favorite a hundred years later. I love telling this story with children acting out the parts of the three billy-goats and the troll, and everyone else in the group calling out the words of the bridge “TRIP-TRAP!” very loudly and slapping their hands on their legs. Here is a version of the story from this old book, written in rhyme, by an anonymous person, probably a teacher. Which part would you like to play? Saw, over the river, a sunny knoll; But the bridge was long, And the stream was strong, And under the bridge lived an ugly Troll. “Run on,” said the Troll, “I’ll see!” And the tiniest billy-goat Gruff ran, trip-trap trip-trap trip-trap very quickly across the bridge. “Pass on!” said the Troll, “I’ll wait!” And the second billy-goat Gruff ran, trip-trap trip-trap trip-trap very quickly across the bridge.